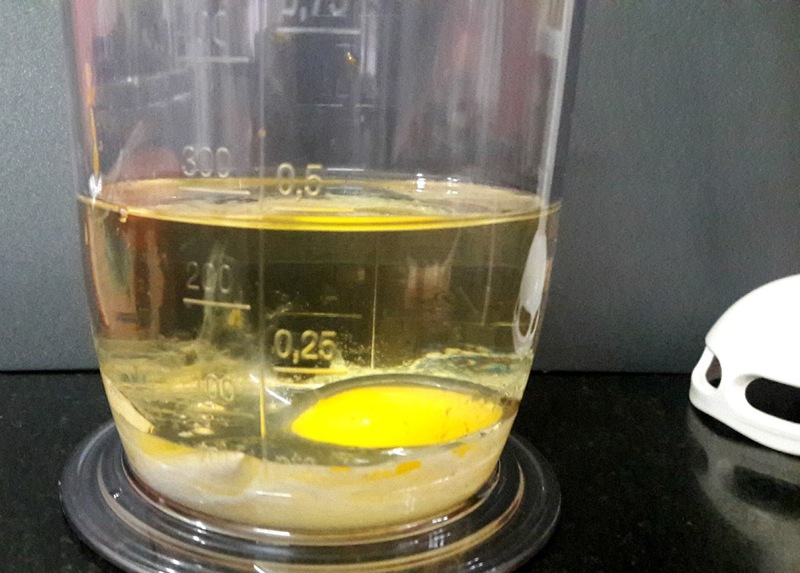 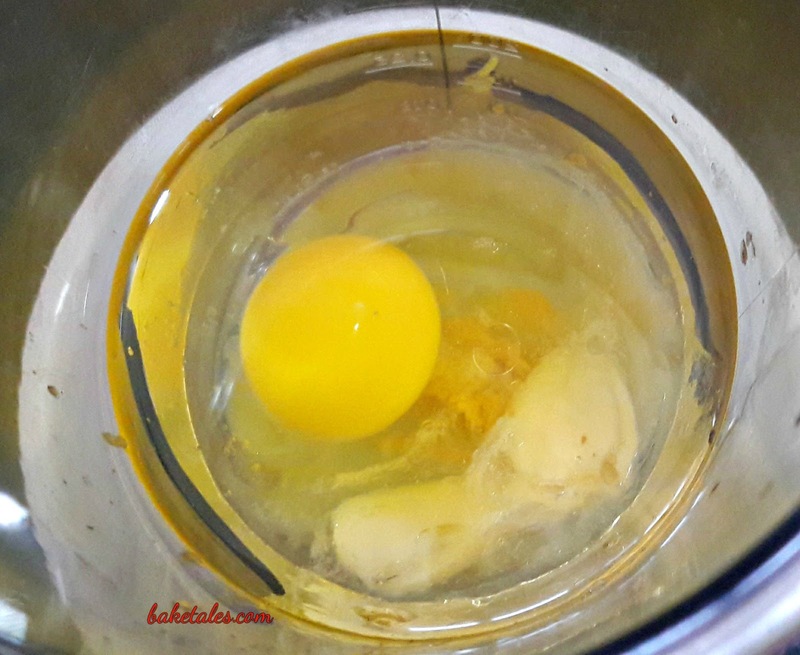 Break the egg and gently slide it into the jar of the blender. Position the dome of the blender just over the yolk. 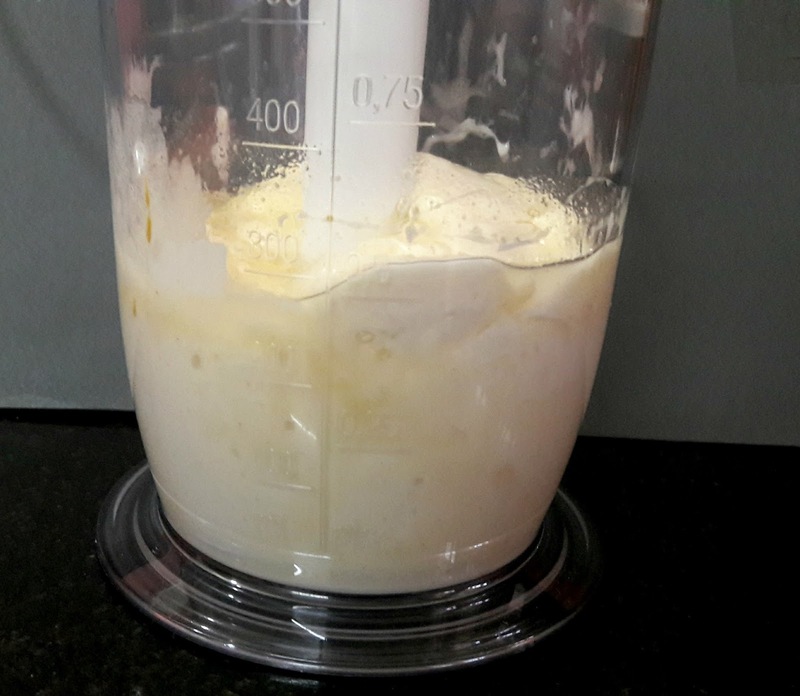 Wait for the whirr and blupp, lift the stick a bit as the contents start to thicken. That's it - your mayo's ready. 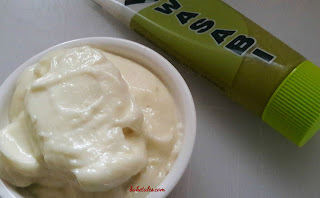 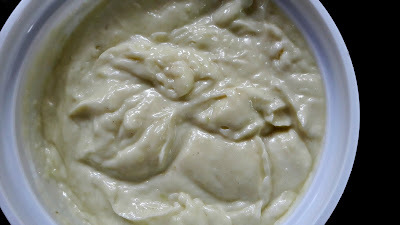 Remove half the mayo, add wasabi paste into the remainder and blend again.